Every time a person drives in a car, they are at a potential risk of being involved in an auto accident. 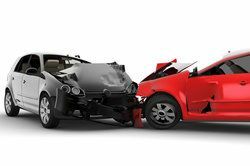 Collisions occur on a daily basis and are a known risk of driving an automobile. Unfortunately, there are many careless and reckless drivers who increase the risk of auto accidents and injury for others by making irresponsible and unsafe driving choices. While the severity of collisions may vary, almost all car accidents will result in property damage and/or personal injury. For some groups of drivers, the risk of being involved in an auto accident is even greater than for others. Statistics show that senior drivers are more likely than middle-aged drivers to be involved in an auto accident and also have a greater risk for serious injury when an accident does occur. Attorney Lynn C. Harris has experience representing cases in Salt Lake City involving auto accidents and seniors and can help clients understand their rights if they have been injured in an accident. With the risks that are involved for senior drivers, it is important for older citizens and their loved ones to be mindful of any impairment that may make driving more difficult. Many states require a reevaluation of senior drivers so that unsafe drivers can be taken off the road and the statistics of auto accidents involving seniors can be brought down. At any age, an auto accident is a serious incident that can have devastating consequences. If you or a loved one has been injured in a car accident and you would like to learn more about your options, contact us at your earliest convenience. Attorney Lynn C. Harris is experienced in representing the victims of car accidents so that maximum compensation can be collected. We look forward to working with you.